I’ll admit it: I hate to play. It’s too abstract, oftentimes silly, and sometimes not productive. So, why can’t “silly” and “abstract” also be productive? As I write this, my own children (ages 7 and 9) are happily-uh-barking, squwaking, giggling, and creating their own secret language which they may or may not remember or employ tomorrow. They don’t care; they are having fun. And I have a moment to myself–although I share my space with a slumbering geriatric basset hound prone to horrific silent explosions of gas–but she and I are having fun; our sense of play is unique and not entirely based on someone else’s definition of play. I nodded slowly. I was beginning to see what she was getting at. Painting? Dumpsters? Planful? I scoffed. By nine that morning, I had slapped at least two coats of blue paint on the dresser and had trimmed a piece of plywood to create the interior shelf on which the VCR would rest. My roommate stood in the living room, wearing pajama pants and a scowl. “You’re up early,” she grumbled. Okay, so maybe I negated the roommate code of no loud noises before 10 am, but really, how loud is paint? “I was excited to start working on this,” I raked a paint-splattered hand through my hair. Was that an insult, or compliment? I chose to file it away as a compliment and continued to cheerily work on my TV stand while she padded to the kitchen to start a pot of coffee–coffee, I didn’t need because I was already expecting the high of creativity. When I was employed at the fancy pants medical facility, we had a series of videos we showed the kids. There was one entitled, “Natural Highs,” or something like that. It was an alternative approach to drugs and alcohol. Instead of downing a 6-pack (or worse), one could exercise. Instead of smoking a joint, how about getting lost in visual art, or listening to some really moving music–better yet–make some music. I clung to this idea and infused it in all I did–and taught it to my patients. And then I had my own kids. Kids like to play. I read Family Fun magazine like a novel. Frankly, I decided I could write those articles and come up with the fun myself. That, to me was the easy part. It was the actual getting down on the hands-and-knees part that made me want to run for the hills, stunted my abilities. It was messy. It was abstract. It was silly. You mean, make a mess, risk doing it incorrectly–or worse–create a parallel reality in which my play wasn’t as good as their play? I remembered something else I had learned at Fancy Pants Med Center: You’ve got to let the kids direct the play. Sure, you need to be there. As an adult, it’s your job to help ensure their safety, help them negotiate social skills and problem-solve, but if you allow your child to initiate the play and you just go along with it, you may be suprised to find you are learning something about your child and you just might be having fun. 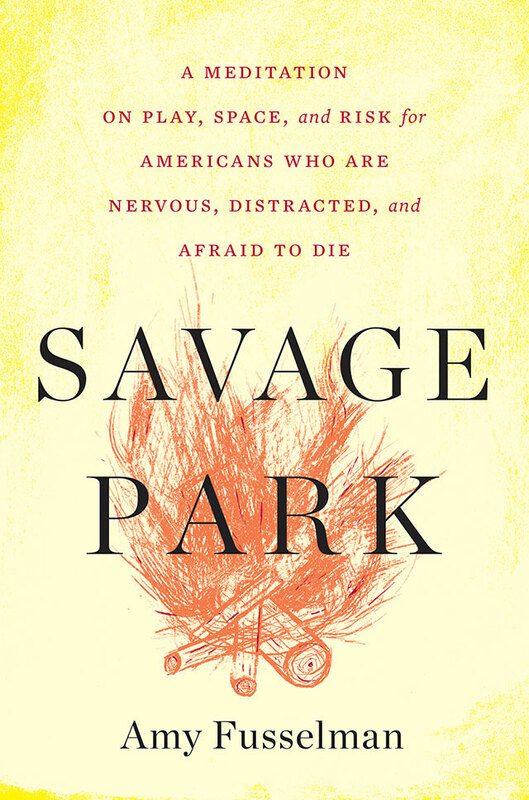 For more on this topic, check out my “other blog,” and also Amy Fusselman’s book, SAVAGE PARK (Jan 2015).